West Virginia is the Trumpiest state in the union. A higher percentage of voters supported Donald Trump in West Virginia than in any other state, according to the Cook Political Report’s 2016 National Popular Vote Tracker. Two of every three West Virginia voters chose Trump – 68.6 percent. That narrowly beats out the next pro-Trump states: Wyoming (68.2 percent), Oklahoma (65.3 percent), North Dakota (63.0 percent) and Kentucky (62.5 percent). All these states are top energy producers (2. Wyoming, 4. West Virginia, 5. Oklahoma, 6. North Dakota, 12. Kentucky). West Virginia also experienced the second-biggest shift toward the GOP nominee, comparing the 2012 and 2016 elections. Finally, more voters turned out for the 2016 election in West Virginia – despite the fact the population in the state is steady at best and may even be in decline, according to the U.S. Census. The total number of votes in the Presidential election grew by 6.4 percent in West Virginia. That’s not the highest of the states, but more than the national average of 5.2 percent. Trump and Clinton each made one big public trip to West Virginia during the campaign. Neither spent much money in the state, although some state residents saw TV advertising from neighboring swing states. The Cook Political Report’s 2016 National Popular Vote Tracker is being updated daily and the figures for West Virginia are not yet certified as of the time of publication and could be adjusted. How could a billionaire born into wealth become the champion of the white working class? That question stumped a lot of liberal commentators, but Joan Williams wasn’t surprised. Williams studies the white working class and is founding director of the Center for WorkLife Law at UC Hastings College of the Law. 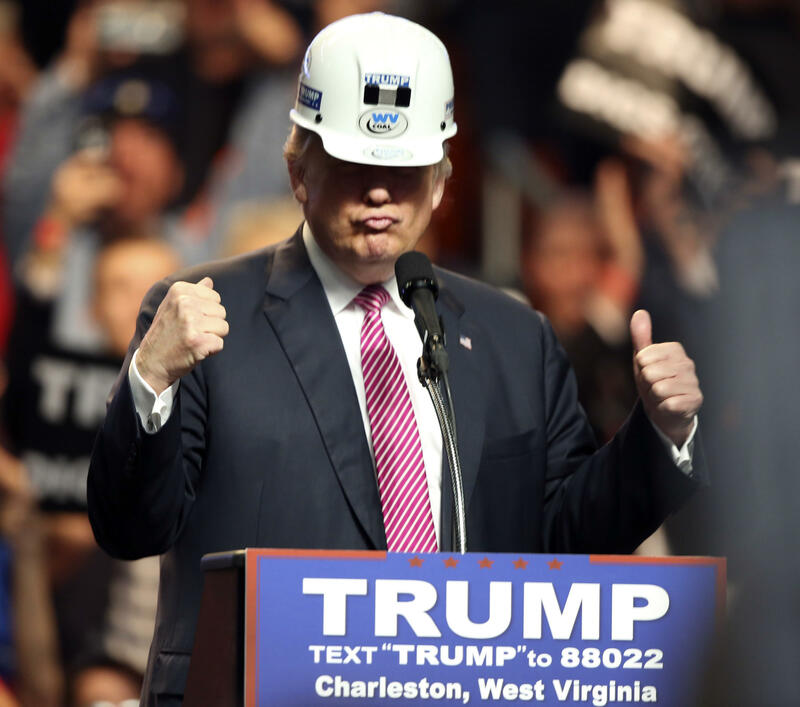 West Virginia's incoming Democratic governor says he received a weekend phone call from Republican President-elect Donald to discuss how to revive the slumping coal industry. This week Scott, Laurie, and Rick are joined by guest Sharif Youssef. Youssef is the child of an Egyptian immigrant who grew up in the town of West Liberty, West Virginia, who now works as a producer on the popular podcast "99% Invisible" in the San Francisco Bay area.